In his first three starts, Nick Margevicius was nothing short of impressive. In each start, the rookie only allowed a single run while pitching to at least the fifth inning in each game. He lost his chance to go for a record fourth start three batters into today’s game, as Nolan Arenado took him deep to center field for a two-run homer that jumped 100.4 MPH off his bat. That first inning set a precedent for today’s game, as the Rockies jumped ahead to a 5-0 lead by the third inning and the Padres couldn’t catch up, falling to Colorado 8-1 and suffering a sweep at home. The left-hander didn’t fare so well in his later innings as well, surrendering runs in both the second and third innings. Charlie Blackmon slapped Margevicius’ 88 MPH fastball to left field to score Tony Wolters in the second, and Raimel Tapia reached for a slider that was below the strike zone that went over Manny Margot’s head and scored two runners for an RBI triple. 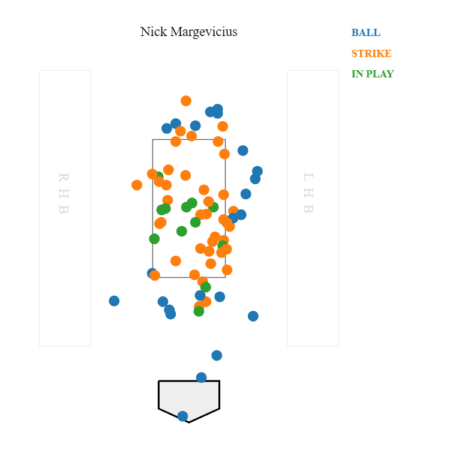 Despite his fastball topping out at 90 MPH and dipping as low as 85 MPH, Margevicius was still able to strike out seven batters in the game, four with his heater and three with his slider. Only twice did a Rockie batter strike out on a ball in the strike zone while all seven went down swinging. Control of the slider and a career-high 82 pitches (55 strikes) helped the rookie left-hander last four innings while walking just a single batter. Margevicius got little to no help from his offense, who floundered against Padre-killer Jon Gray. 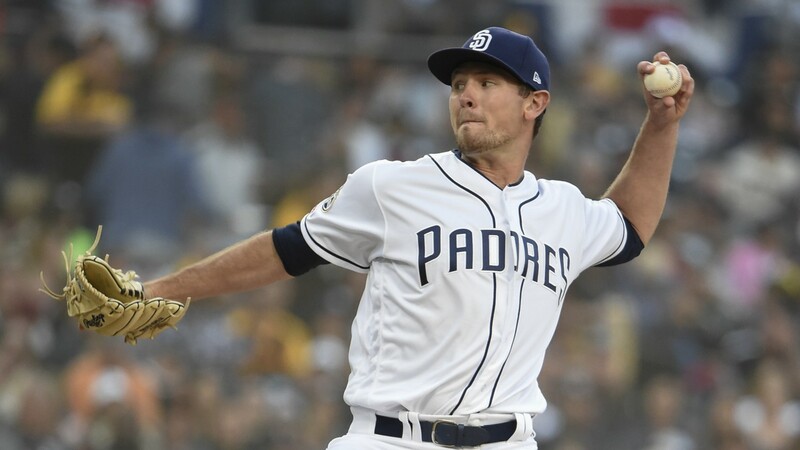 Gray, who posted a 4-1 record last season against the Padres with a 3.86 ERA in 30.1 innings, continued his dominance over San Diego with seven innings of one-run ball, striking out five batters and walking three while making mincemeat out of Padres’ batters. Two Padre hitters who continued to struggle were Ian Kinsler and Eric Hosmer, who have continued their sluggish starts to the season. Hosmer took a walk but, but his ground ball double play in the bottom of the ninth inning killed a potential rally, while the best Kinsler managed to do was ground out into a double-play, as his batting average fell to .151 on the season. Despite taming the Padres lineup for seven innings, there was one hitter Gray just couldn’t get out; Wil Myers. The Padres left fielder kept up his hot pace, going 2-3 with a walk while yanking his second home run in as many days. The dinger came in the fifth inning on a 95 MPH fastball that catcher Tony Walters wanted low and outside, but Gray missed his location and leaked the fastball up and inside. With a juicy fastball right in his wheelhouse, Myers turned on the pitch and deposited it 392 feet away in the left-field corner at 104 MPH off the bat for career home run number 101. Once again, the San Diego bullpen stepped up early in the game and quieted the raucous Colorado bats. Matt Wisler only allowed a single hit while striking out three in his two innings of work, Adam Warren worked around a solo home run to Garret Hampson to limit the Rockies to a single run in the seventh inning, and Brad Wieck needed only seventeen pitches to get around a double and strike out two. The skies opened up in the ninth inning, and the rain came tumbling down on the Friar Faithful at Petco Park after the Rockies snapped up two insurance runs in the top of the inning against a wild Trey Wingenter. 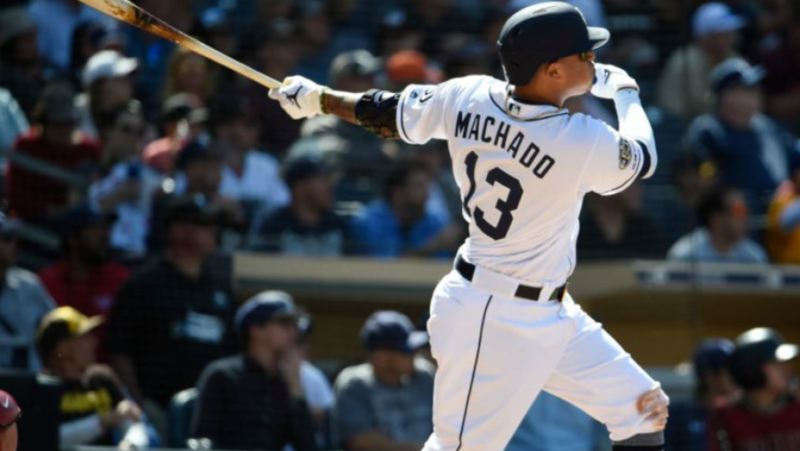 After the aforementioned Hosmer double-play, Fernando Tatis Jr cracked a double to right field to score Manny Machado to bring the Padres closer, but a Kinsler ground ball out ended the game for the Padres. After a day off, the Padres kick off a four-game series against the Cincinnati Red, with Chris Paddack going up against Tanner Roark in Game 1. Previous Is it Time For the Padres to Consider Benching Eric Hosmer?